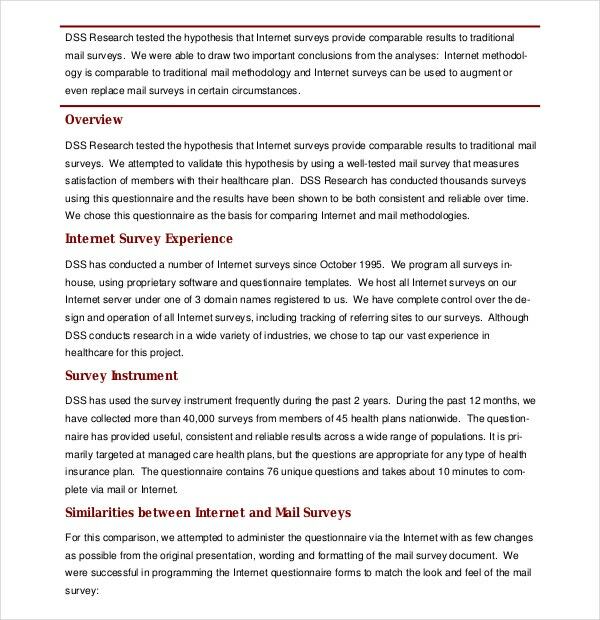 Email survey templates are the future of R&D industry. They are going to ease out the job of statistics departments considerably. 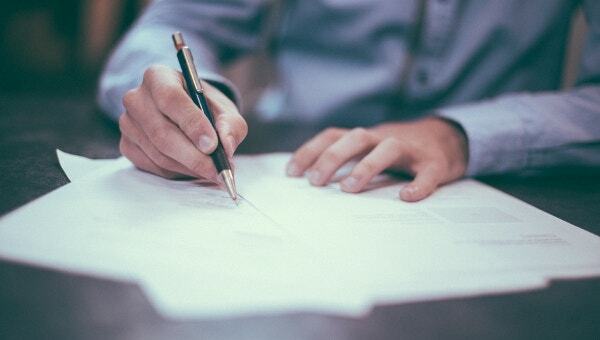 Most of the email templates allow you to interact with the masses and this is why they are very handy and easily accessible in a word, excel and PDF formats. 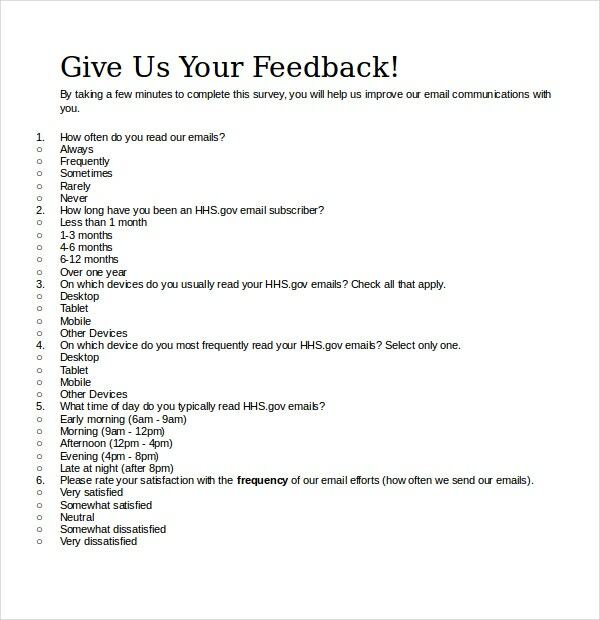 If you are running against the time then email surveys can be the best surveys for you.You may also see Demographic Survey Template. 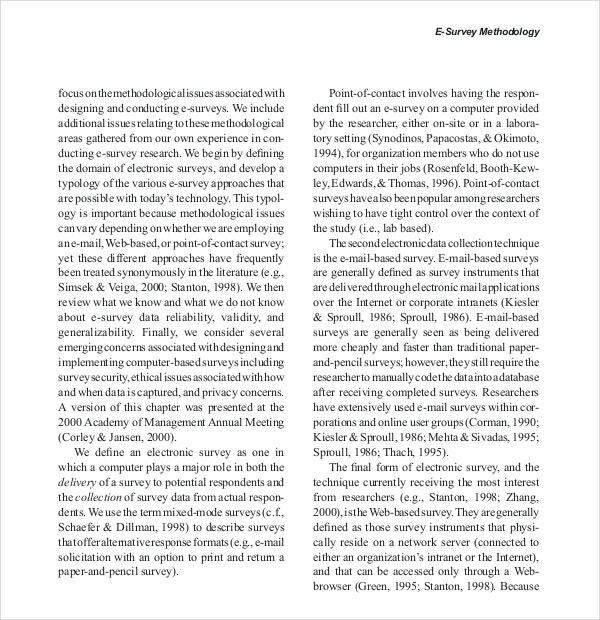 Make sure that your email survey template is not verbose. It should be an easy format designed for the bottom lines of IQ levels. Email surveys lack human touch and sometimes people try to fill them in a hurry. An Easy Format can Cut down Survey limitations considerably and bring you at home with many things. These days there are many user friendly survey software tools and many templates with predesigned questionnaires which enables the creation of email surveys very easy. The users can easily copy the template from many online sources and even modify the questions to suit their needs. There are many online survey softwares that have a set of survey questions which the users can choose from for their survey. The first step is the creation of questionnaires. The user can add a logo, customize the theme, change the size and colour of the font etc. The questions need to be chosen carefully from a variety of types. 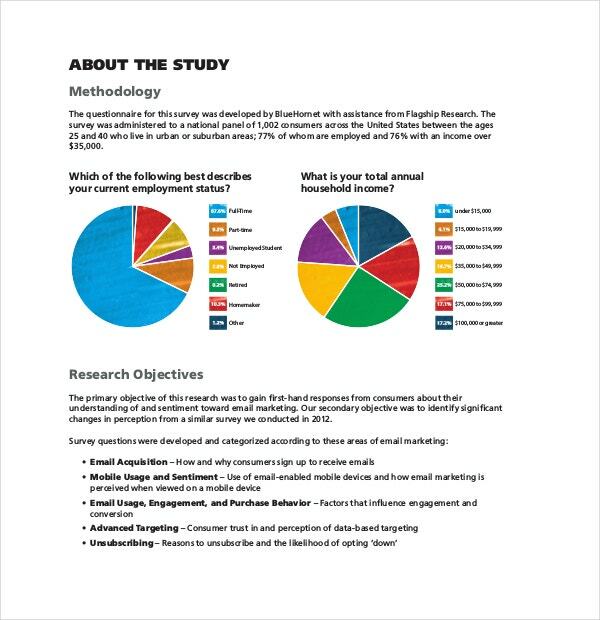 There are many questionnaire templates available on the internet to be selected and used. Graphical presentation makes the survey look good. The answer choices can be randomly displayed. The misspelled words can be checked using spell check feature. The questions should be spread over 20 pages. The invitees can be tracked and reminders sent to them. There are many questionnaire design softwares available online which come equipped with valuable features such as advanced data analysis tools, multi language questionnaires, survey libraries, online reporting captions etc. These questionnaire softwares are simple to run and customizable to suit the needs of the user. 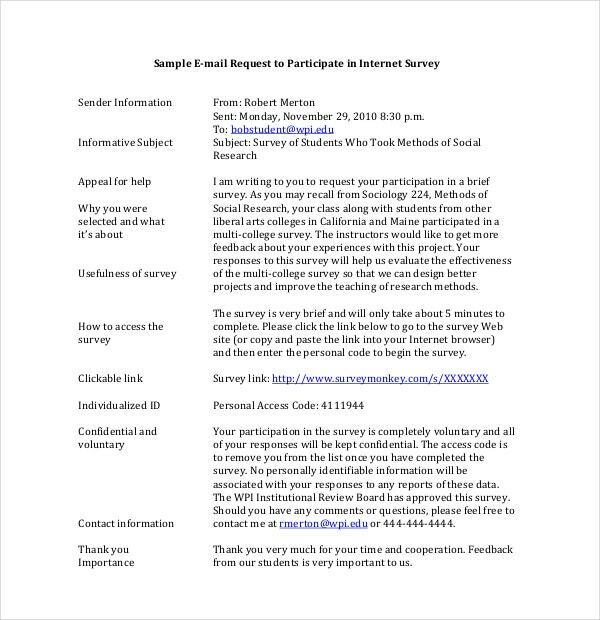 There are tools available online which embed the first survey question in an email which is being sent as an invitation to join the survey. The user can use the embedded templates in order to create the first question in the email. The answer the respondent chooses is automatically selected in the survey. 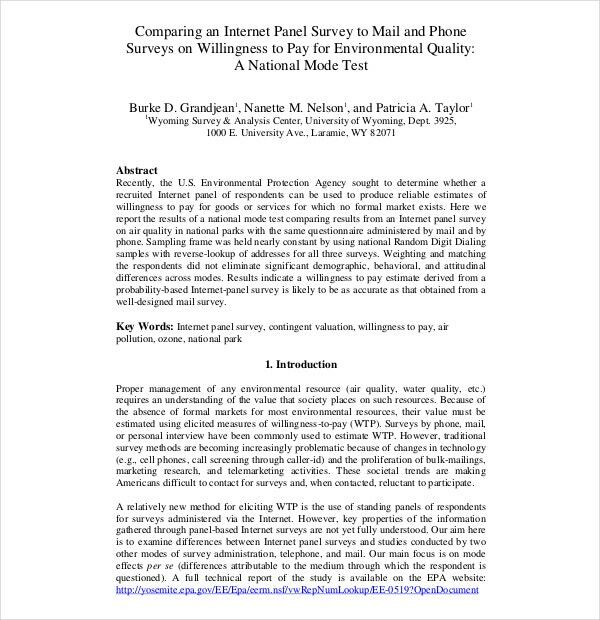 There is no dearth of online sources for getting email survey templates. 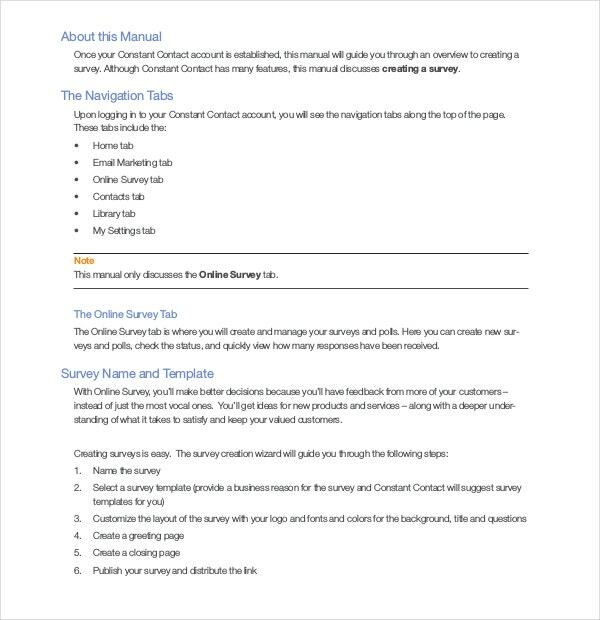 People who want to create their own email surveys can get hold of a multitude of websites where they can easily get access to many email survey templates.